Soul’d Out Quartet, which is comprised of Dusty Barrett (tenor), Bryan Hutson (lead), Matt Rankin (baritone), Ian Owens (bass), and Michael Howard (pianist), is not only a vocal group continuing the heritage of Southern Gospel music, but is also and foremost a ministry team answering God’s call as stated in Ephesians. Rash will share his process and inspiration behind this year’s NEA Big Read book, Burning Bright. FREE to attend! Looking for something different? Hosted outside under our pavilion, our Moonlight Market will have a unique atmosphere with music, food trucks, lights, and vendors. A community theater production of “Steel Magnolias” comes to Minerva’s Roxy Theatre> Synopis: Through clouds of hairspray and over the buzz of blow dryers, six southern spitfires gather each week to gossip and support each other through thick and thin. But those bonds are about to be tested when M’Lynn and her daughter Shelby face a life-changing event. Tickets are just $10 for the production! The Jack Cullen Memorial Trout derby, for children ages 4 - 15, takes place at the Lock 4 Trailhead. Bait, beverages, and food will be for sale. Bring your own pole. Door prizes and trophies provided by the Stark County Park District, Stark County Federation of Conservation Clubs, and the Berkley Fishing Team. 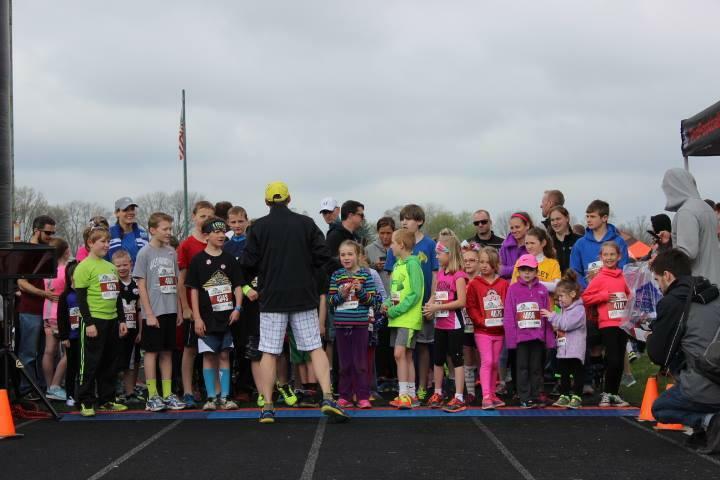 Our annual Kids race! FREE to any child between the ages of 1 and 16. This is a fun, non-timed event! The distance is 1.2 miles (roughly) that starts and finishes in Stadium Park at the Marathon starting line. All kids will get a special item as they finish the race AND will receive a Canton Parks and Recreation Superhero Cape! Enjoy a fun, FREE troll-themed adventure in Downtown Alliance! 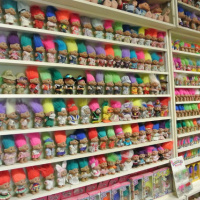 The Troll Hole Museum houses the Guinness World Record troll doll collection, over 10,000 trolls and troll memorabilia, including the new DreamWorks "Trolls" Movie exhibit! Pickup your treasure map and then visit over 14 Shops with trolls hidden inside. Follow the map and locate the trolls hiding in the shops & galleries in Downtown, Alliance. Win a small prize at each shop and return your completed map to the Troll Hole Museum to enter into a grand prize drawing for one of three amazing prizes! Catch a double header at the 2019 North South Classic, in Paul Brown Tiger Stadium. The first game kicks-off at 12 noon and features top athletes from divisions IV, V, VI and VII. Game two begins at 4PM featuring top athletes from division I, II and III. A $10 ticket includes admission to both games and can be purchased online at massillontigersathletics.org, or at the gates on game day. We have even MORE Amazing Local Businesses for a One-of-a-kind event to Discover, Shop & Dine!! Along with Sales, Guest Vendors, Give-a-ways & chances to Win some awesome stuff and MONEY!! Awake summer imagination with fun activities encouraging families to explore the outdoors, be physically active and healthy, and connect with nature. Guests will enjoy FREE general admission from 9AM until Noon. 50% off Museum Admission, Free Parking + 20% off in the Hall of Fame Store. Also, for the second straight year, HOF President & CEO David Baker will announce an NFL Draft selection live from the Hall of Fame Gallery. Enjoy hors d'oeuvres and mingle as you view the beautiful tablescapes designed by our members to represent a favorite song from decades past! Then after lunch Kevin DiSimone and Hilary James will perform some of the songs plus many more! Tickets are $30, and include lunch. Join us Saturday afternoons for free tours of our state-of-the-art winery at The Crush House. Tours begin at 12pm, 1pm and 2pm and last approx. 30 minutes. Join us for a fun DIY custom String Art Class taught by Strung by Shawna. This is a fun, new take on a striking old-fashioned art form. Over 150 designs to choose from, so sign-up today! Get a behind the scenes tour of our brewery and learn the processes used to make our delicious craft brews! Tours are given on the 4th Saturday of every month at 12pm, 2pm and 4pm. Explore downtown Massillon with us as we visit locations that would have been important to any young couple during their courtship and marriage. Learn how to flirt, who was really in charge, and how to make sure your Victorian marriage will be a happy one. Choose a tea cup or mug and plant a beautiful succulent arrangement in it! Just $10 each to make. Head to 4th Street in Downtown Canton, to enjoy an evening out on the town! Stop out and test your movie knowledge with a street wide movie themed game, photo ops, deals and make and takes for all. A concert performed by A Chorus for a Cause to benefit NAMI (National Alliance for Mental Illness). Tickets are just $15 per person, for this magnificent concert. Live Music -- Strangled Darlings @ Royal Docks Brewing Co.
Strangled Darlings cuts up the pattern for an indie band while squeezing a full band out of a duo. Grab a beer and enjoy the live music all evening long! Hear the hits of the 50s and 60s performed in the style of the originals at the Lions Lincoln Theatre.Tickets start at $15 for this concert. 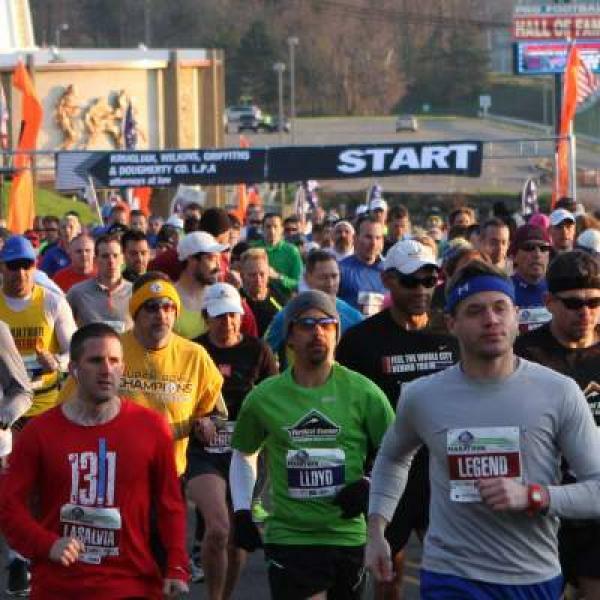 Join us for the 6th Annual Marathon / Half Marathon / Team Relay and 5K! Start and Finish at the Pro Football Hall of Fame -- don't want to participate? Cheer on runners throughout the route. See the full schedule of events here! Enjoy a FREE family-friendly afternoon filled with environmental educational activities, nature walks, games, crafts, mock fossil digs, entertainment, giveaways and much more! Reservations are required -- so make yours today! Celebrate Earth Day by uniting with others from the local community to do something meaningful for the environment and the planet! There will be volunteer opportunities for all ages. Enjoy 3 day full of films, special guest, and more in Canton's most beautiful movie house, April 26th-28th. With a variety of films, speaker panels, and special activities; this is one event you don’t want to miss! Check out the full schedule of events and to purchase your tickets here. This Spring Flower & Art Exhibit is a “horticultural art gallery” of color and fragrance. Explore our gardens and trails and discover unique artwork highlighting many local artists. While visiting, enjoy creating your own art project in the hands-on, make & take art studio. This is a fantastic event for the whole family! 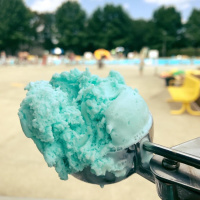 April 15, 2019 through May 26, 2019, Monday through Saturday from 10 am to 5 pm, and Sunday from 12-5 pm, at Beech Creek Botanical Garden & Nature Preserve in Alliance. General admission applies. Beech Creek Members and children ages 2 and younger receive free admission. 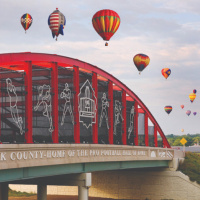 Explore the MUST-DO activities while you are in Canton, Ohio here! The British are coming! ...and they’re bringing beer!